Salads don't have to be all lettuce! Make fruit or vegetables like cucumbers the base your salads for a refreshing change. 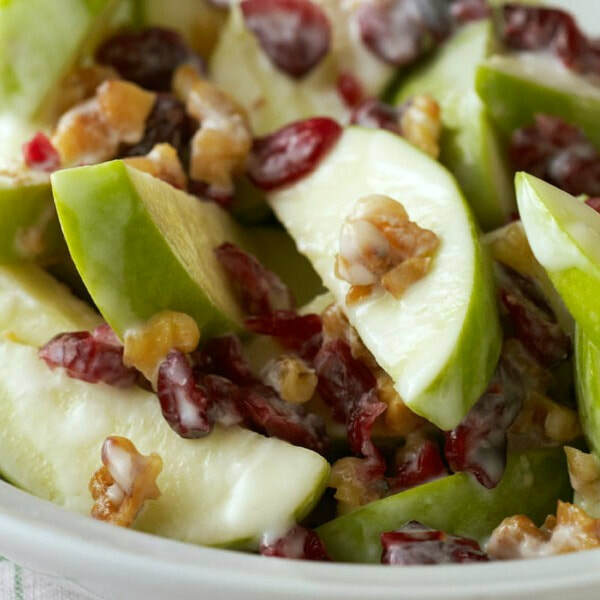 This apple salad uses plain yogurt instead of mayo to make it healthier. Rinse apples and cut into 1 inch pieces. Do not remove skin. Add apples, dried fruit and nuts to a bowl. Mix yogurt with honey (if using). Pour mixture over the apples, fruit and nuts. Mix well. *Nutrition information includes dried cranberries and chopped walnuts in analysis.